So loved was Felisa Rincón de Gautier as the first female mayor of San Juan, Puerto Rico, she was re-elected to the post four times. From 1946 to 1968, “Doña Fela” was the people’s mayor. She made politics accessible, personal, and real. She served as a United States goodwill ambassador under four North American presidents. She helped Puerto Rico Governor Luis Muñoz Marín establish the Popular Democratic Party in the 1930s. Rincón de Gautier opened the doors of the government to the people, literally. She held weekly open houses to hear grievances and see constituents. She was a pioneer in the movement of political rights for women, and helped women win the vote in 1932. She sought community reform and was able to improve housing, schools, sanitation facilities, and roads. She opened the first municipal centers for elder care, legal aid, and medical assistance centers and even helped form a Little League. She expanded care for the underprivileged and established the first day care programs that would serve as the model for the Head Start program in the United States. To bring something special to the tropical holidays, her trademark gift was importing snow for children’s Christmas parties. She also hosted a Feast of the Three Kings party for thousands of children and provided each of them with presents. Her mother died when she was eleven and so she dropped out of high school to help her lawyer father, Enrique Rincón Plumey, with her seven siblings until finances improved. During the 1930s, Rincón de Gautier moved to New York and worked as a seamstress in a fashionable Fifth Avenue shop, learning the trade and honing her acute business sense, and saving money. When she returned to Puerto Rico, she was able to open a series of clothing and flower shops. Rincón de Gautier’s husband, Genaro A. Gautier, served as assistant attorney general of Puerto Rico and the secretary general of the Popular Democratic Party. She was president of the party’s San Juan committee. By the 1940s, she was approached several times to become city manager. She declined until 1948, when she was elected to the position. Though she was criticized for employing so many of her relatives, it did not affect her popularity. She was re-elected four times, serving as mayor for twenty-two years. Worldwide recognition came when she traveled to South and Central America on behalf of the United States Department of State, in 1953 and 1956. She spoke about education programs and the unique relationship between the commonwealth of Puerto Rico and the United States. She transcended political and geographical barriers to be recognized for her goodwill efforts by many countries. In 1960, she was Puerto Rico’s delegate to the United States Democratic National Convention. She was awarded the Gold Medal of Honor, the Don Quixote Medal, the Simon Bolivar Medal, and the Medal of Isabella the Catholic Queen from Spain. She received Ecuador’s Gold Medal of Honor, the French Joan of Arc Medal, the Israeli Order of Merit, the Vatican’s Pope Pius XII Medal, and the Cruz del Santo Sepulcro de Jerusalem. Eleanor Roosevelt presented Rincón de Gautier the Hebrew Philanthropic Award in 1961. She won the 1953 Woman of the Year award from the League of American Women and was recognized as the Woman of the Americas by the Union of American Women. 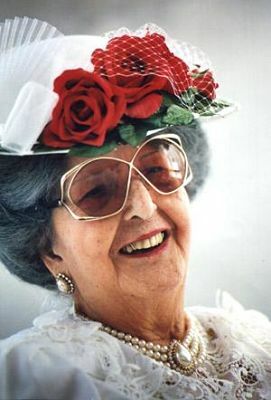 Rincón de Gautier continued to serve as a delegate to national conventions until 1992, when she made her last political appearance at the age of ninety-five.